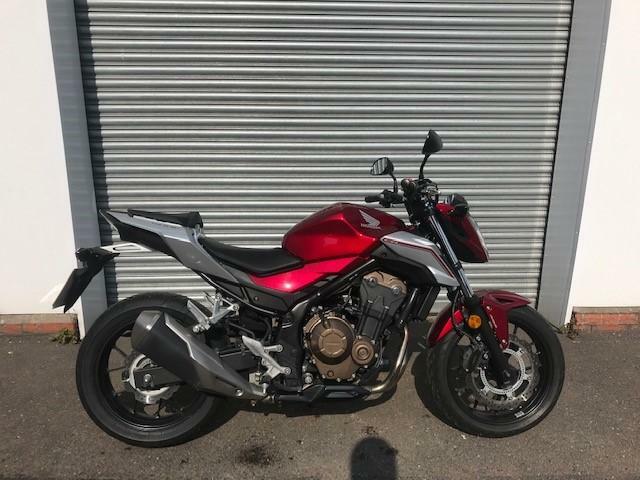 THIS HONDA CB500F COMES WITH UNDER 8500 MILES AND MANUFACTURER WARRANTY/ROADSIDE ASSISTANCE UNTILL 28/04/2020. THIS IS THE PERFECT FIRST BIG BIKE WITH IT ALSO BENEFITING FROM BEING IN THE A2 CLASS. THIS BIKE WILL COME SERVICED AND HEALTH CHECKED.